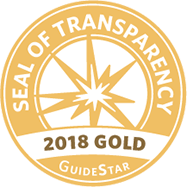 SafeHouse Denver is proud to have earned the GuideStar Gold Participant seal by sharing our goals, strategies, capabilities, and achievements. This commitment to transparency is as strong as our commitment to supporting survivors of domestic violence. We appreciate your support in that endeavor! Click the GuideStar seal for more information and to view our profile! All donations to SafeHouse Denver are tax deductible, but you can earn even more tax relief with donations of $100 or more. SafeHouse Denver is approved as a Denver Enterprise Zone qualified organization. This means that a Colorado state income tax credit is available for donations of $100 or more to SafeHouse Denver. As a contributor, you may claim a state income tax credit of 25% of the value of the contribution up to a maximum credit of $100,000. Contact Sabrina at shobart@safehouse-denver.org of 303-302-6122 for more information. Double your gift to SafeHouse Denver! You may qualify to have your contribution matched if you are an employee, retiree or board member of a company that has a matching gift program. Simply request paperwork from your employer or contact your human resources department to find out about opportunities available to you and your colleagues. Mile High United Way: support Mile High United Way directly or designate SafeHouse Denver by writing our name on your pledge form. You can donate an old car to benefit SafeHouse Denver through any of the donation sites listed below. They accept any car in any condition -- and that includes trucks, vans, RVs, boats, snowmobiles and motorcycles. The net proceeds of the sale will benefit SafeHouse Denver. Your car donation is tax deductible, and they all provide free towing. Even though SafeHouse Denver is not listed on some of these organizations’ websites, you are able to request the funds be sent to us. Please call Shannon at 303-302-6126 with any questions. Planning your wedding? Did you know you can donate to SafeHouse Denver by registering with VEBO? VEBO couples are able to select a charity to tie to their registry. VEBO contributes 5% of the sales from the couple’s registry to the charity they have selected.